Attorney Misko has devoted his entire career, more than 40 years, to criminal justice. He has served as a police officer, federal drug and firearms agent and as an assistant district attorney for Allegheny County. During his career he learned firsthand how police and prosecutors sometimes ignore a person's rights during an investigation or after an arrest. It was this experience that prompted him to pursue a career in criminal defense. Mr. Misko is admitted to practice in Pennsylvania and Washington, D.C. 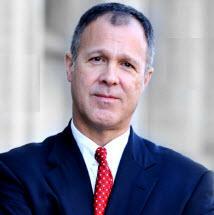 He also has been admitted to practice in various federal appellate courts and the U.S. Supreme Court. His firm, PennLaw, LLC, is located in Butler, Pennsylvania, with another office located in Pittsburgh, Pennsylvania. Mr. Misko is a graduate of Duquesne University School of Law, is a member of the board of directors of the Pennsylvania Association of Criminal Defense Lawyers, American Bar Association and the Pennsylvania Bar Association.